The overall condition is good. 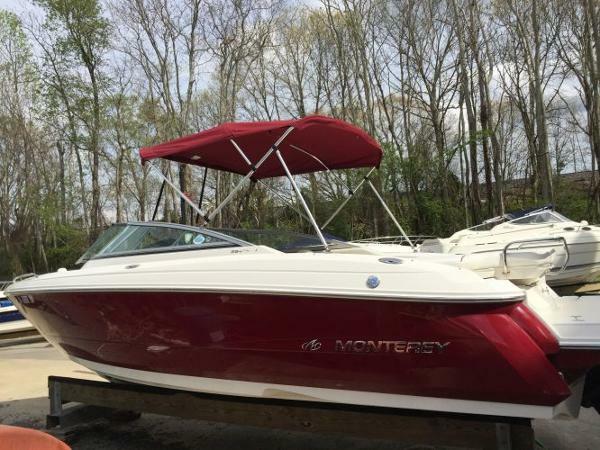 The gel coat has a deep and rich shine. 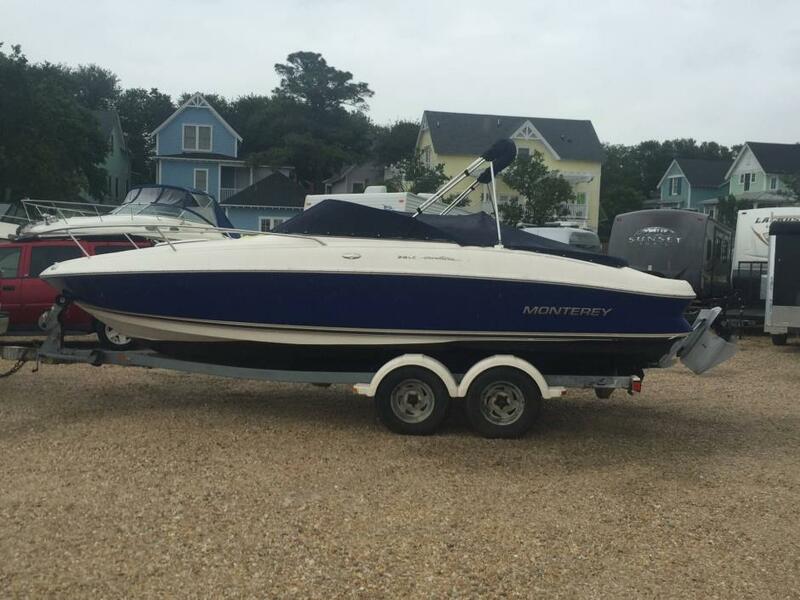 As with all blue boats, the gel coat needs a little buff and shine. The vinyl is soft and supple. 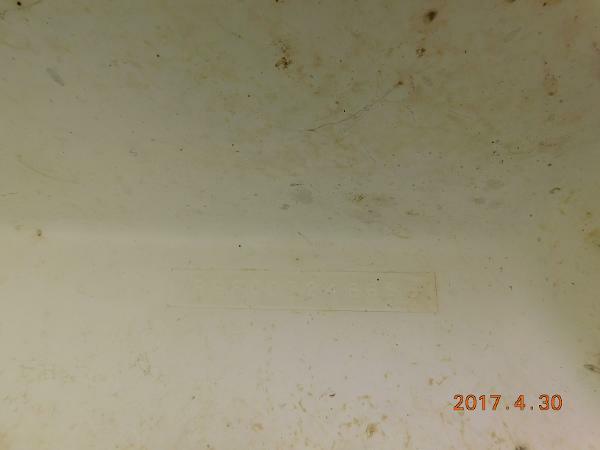 There are small rips present. Not bad! 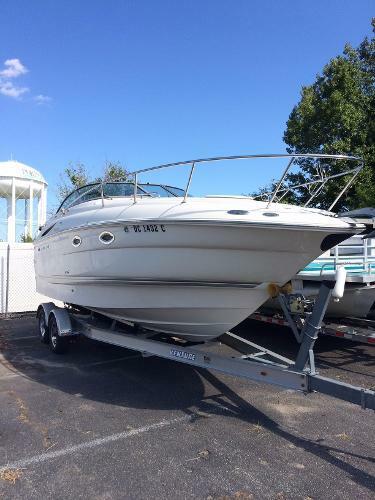 Stock #156672 We have a well maintained LSC powered with a Mercruiser 300 HP with only 300 hours! 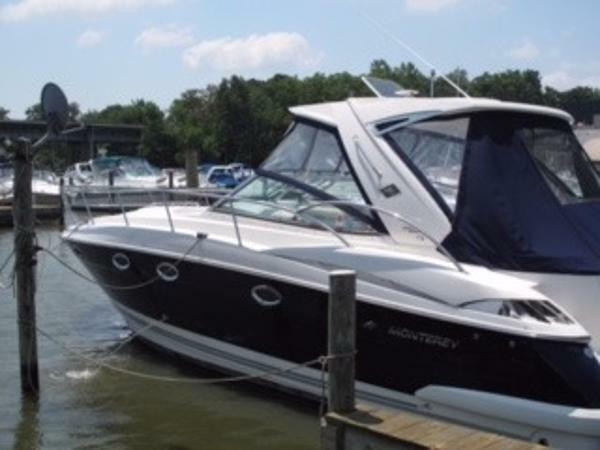 If you are in the market for a cuddy cabin, look no further than this 2004 Monterey 248 LSC, priced right at $23,500 (offers encouraged). 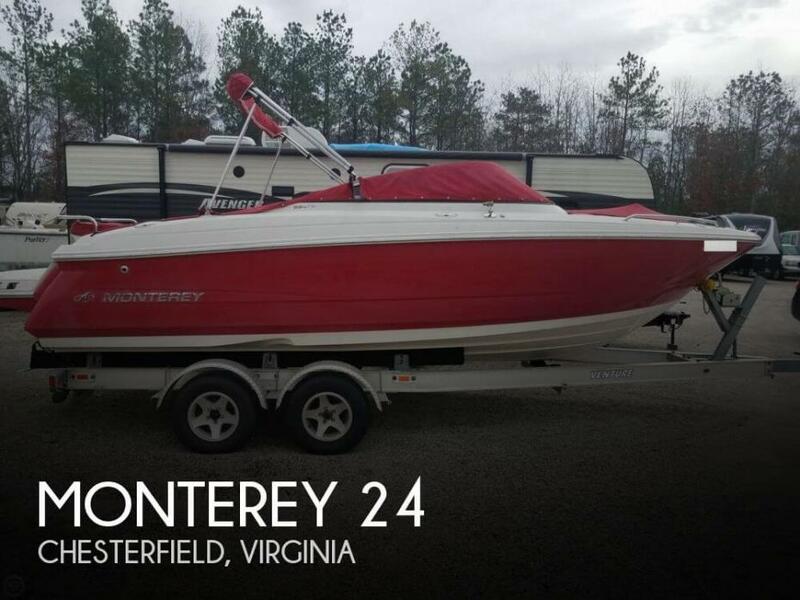 This boat is located in Tappahannock, Virginia and is in good condition. 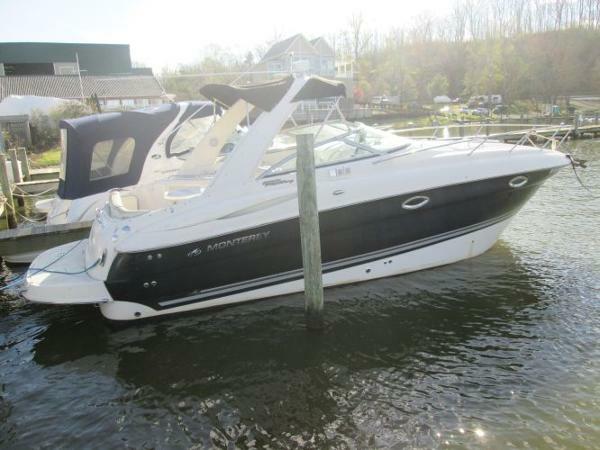 She is also equipped with a Mercruiser engine that has 315 hours. 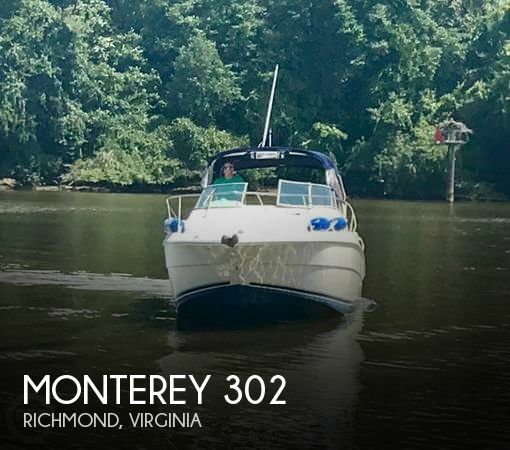 This boat is a bit weathered from being out in the elements but a little upholstery work and a good cleaning will have this boat looking sharp. 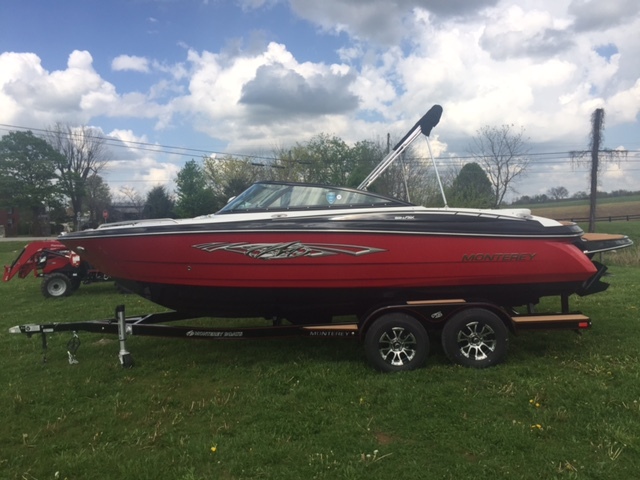 Per the Seller: She runs great with the 410hp 383 Stroker engine installed in 2011; ONLY 80 HOURS ON THE ENGINE!! 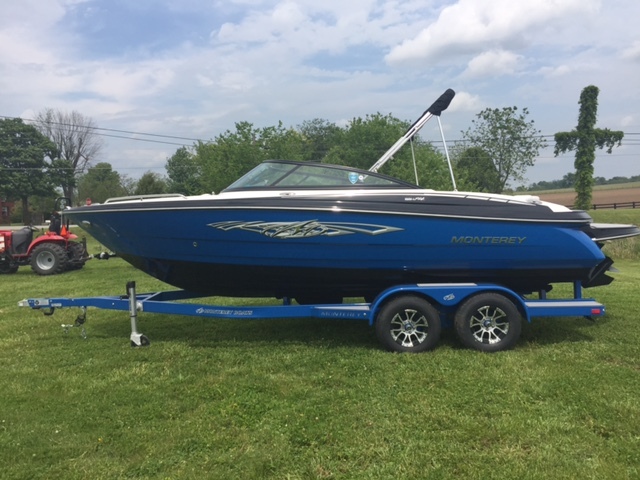 Deal axle Load Rite trailer included in the price and is ready for a road trip Stock #112622 Original Owner Monterey 234FSX Bowrider, Great for towing or cruising!! 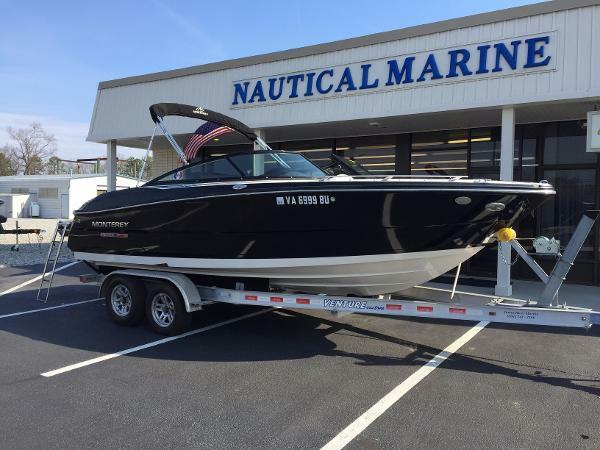 Has ample storage for all your gear and a large sun deck!!! 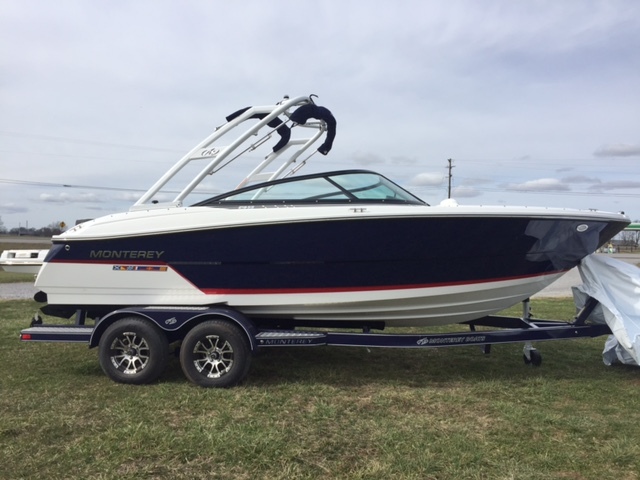 If you are in the market for a bowrider, look no further than this 2007 Monterey 234FSX, just reduced to $20,000 (offers encouraged). 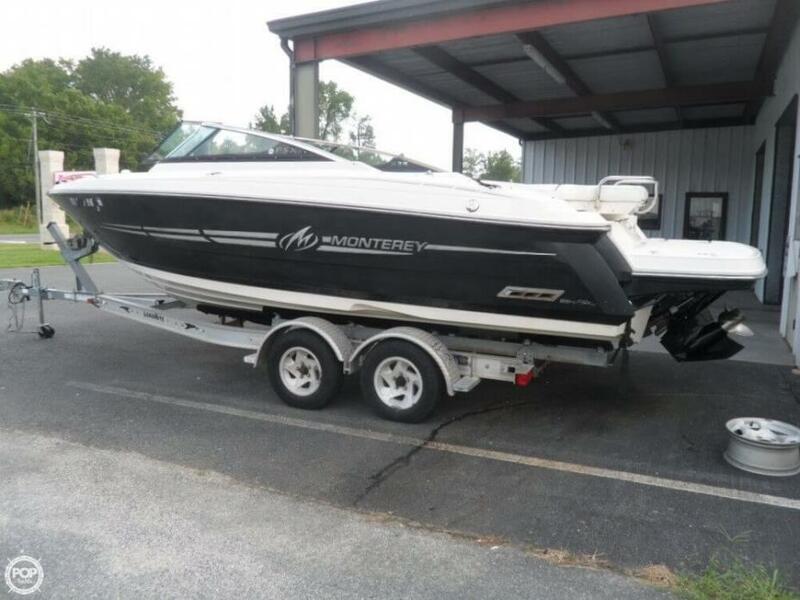 This boat is located in Onancock, Virginia and is in decent condition. 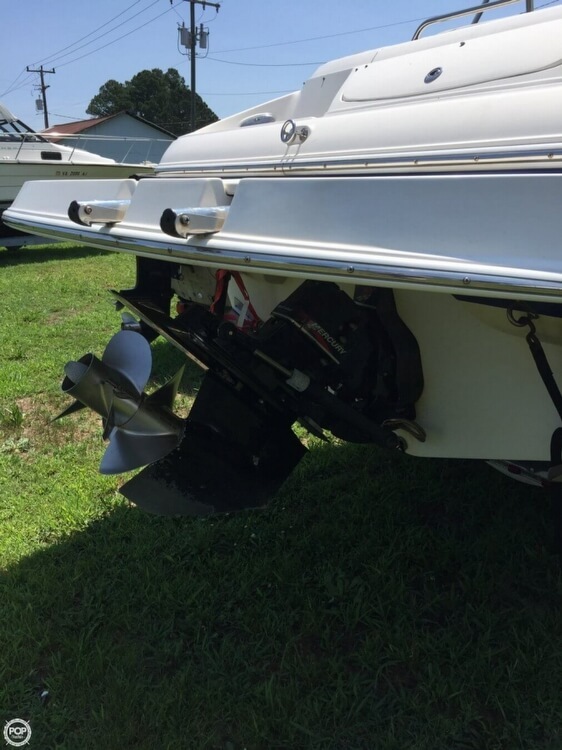 She is also equipped with a US Marine engine that has only 80 hours. 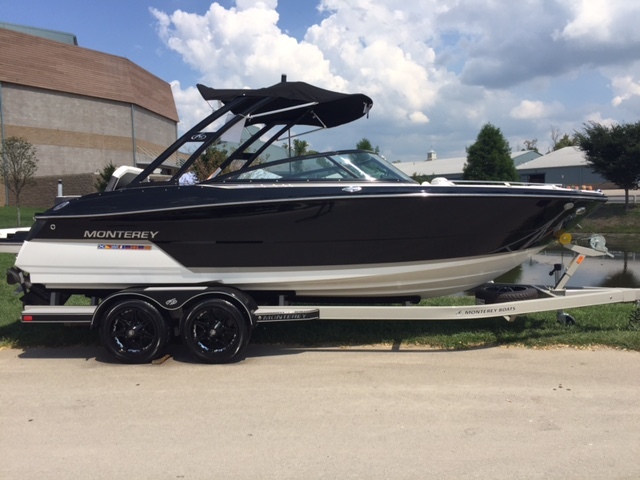 2017 Monterey 238SS, This boat includes ski pylon, underwater led lights, wakeboard tower, bow and cockpit covers, cockpit table, stereo with helm and stern remote, 6.2 300 HP Mercruiser with Bravo 3 outdrive.